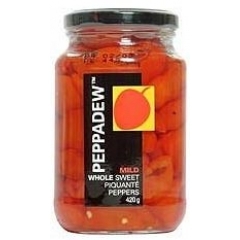 Home > Vegetables > Peppadews. 400gm. 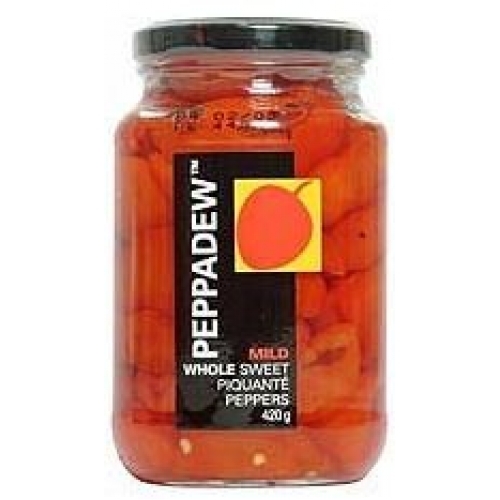 This is the original product which started the Peppadew (tm) taste revolution in the U.S.! These are delicious sweet fruit from South Africa with just a touch of heat. Try them in green salads, chicken and tuna salads, stuffed with cheese, or on top of chicken or pork. Add them to stews and rice. The possibilities are endless, and they will add excitement to almost any meal!